First of all, great guessing on last week's Disney trivia - that peaceful path is indeed at the Wilderness Lodge! You'll find yourself strolling down it on your way to the boat launch to the Magic Kingdom. This looks like the entrance to a secret cave! But where can you find it? And where does it lead?? Post your guess in the comments! Good luck! 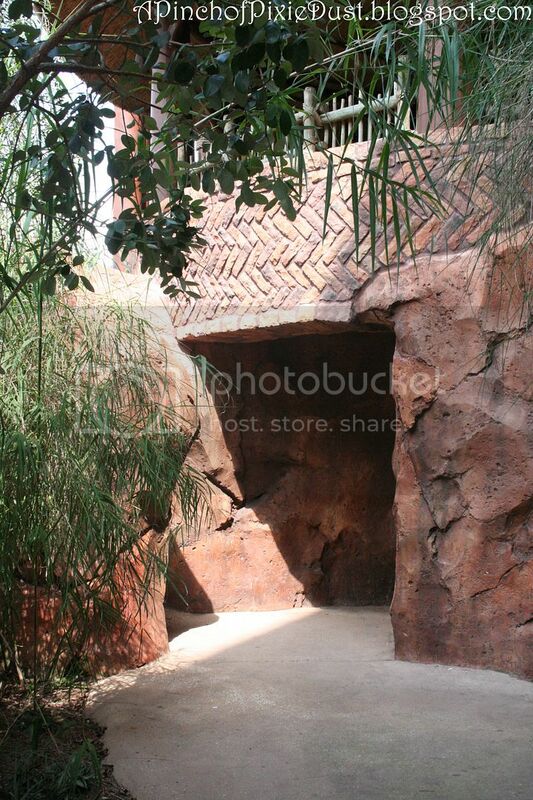 The top part of the picture reminds me of Animal Kingdom Lodge, but I can't tell where it is if it really is there! I agree that it has to be AK lodge, is it under the big round concierge suites?